BANGKOKTRADERS.COM sell TUK TUKS WORLDWIDE. ASIA TRADING SHIPPING -- ASIA TRADING POST & KPS International Trade (Thailand) Co.,Ltd. sales from Bangkok Thailand. Order yours now. 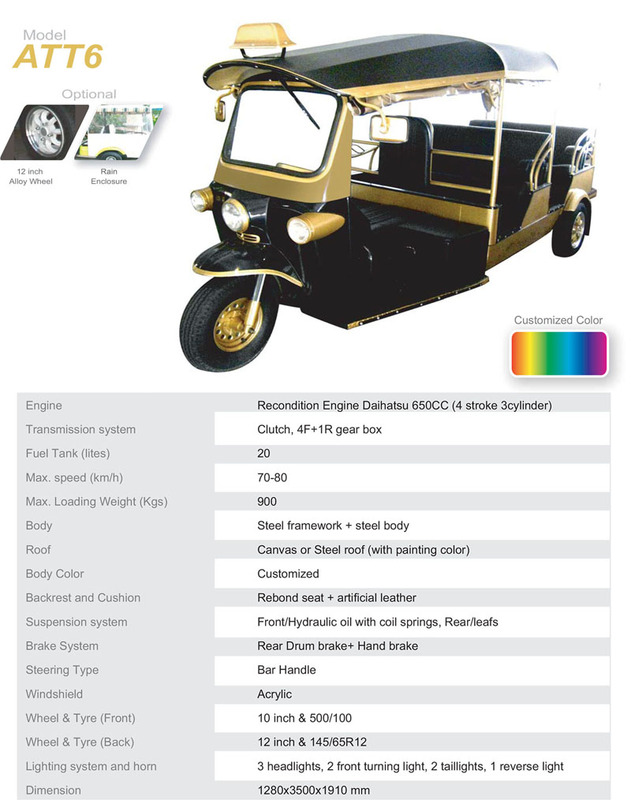 The Tuk-Tuk is built by the factory to meet your specs and there are various combinations of one vehicle that we can make from various forms of a taxi, vans, flatdecks, utes or just an open top trucking tuk tuks. The vehicles are built from a steel frames whilst the taxi versions have either a steel hard top or retractible canvas roof and can be reinforced with safety roll cage if you want. They are now used in Thailand to promote guesthouses and hotels and are a good hospitality utility vehicle and can promote your product lines or business anywhere in the world. 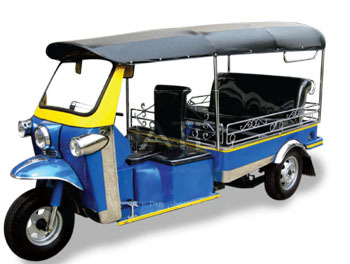 Tuktuks have been around for many years and are common on the streets of most Asian Countries for ferrying passengers. Most taxis are designed to carry the driver and up to three passengers though larger versions can can up to 8- 12 people. Payment Term : T/T 50% in advance and balance after finish order. Delivery Time : 45-60 Days after deposit payment.  Validity Price : 15 Days after sent quotation. FOR FREE CARGO QUOTATION TO ANY COUNTRY PLEASE EMAIL US.